Challenge #2" - The Deeper Water in the center of the Atoll slows movement and makes building (including creep) impossible, but it's not impassable. 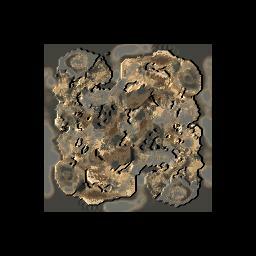 This map offers a "pocket half base" that allows you to securely mine reduced minerals and a Rich Gas, however, choosing to utilize this base, either in the "half Base" or as your legitimate 3rd base opens your main base to another route of attack. No one has posted a comment for Treasure Atoll yet.